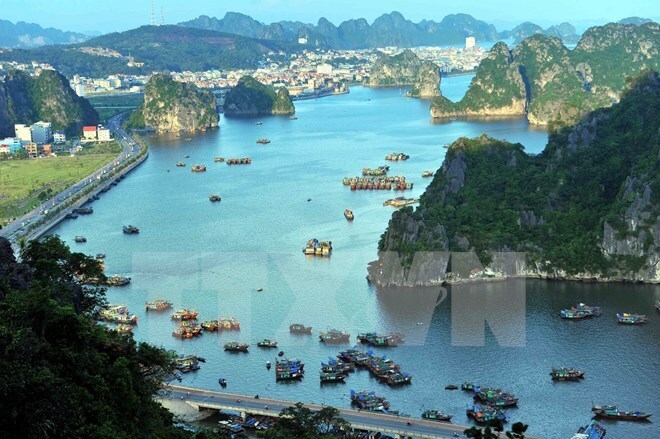 Efforts to reform administrative procedures and provide greater support for investors helped the northern coastal province of Quang Ninh reap remarkable success in attracting domestic and foreign investment flows. The construction of a five-star Sheraton hotel worth 40 million USD commenced in the locality on October 10, only 9 days after its investors and the local authorities signed a cooperation agreement. Local authorities, Starwood Hotels & Resorts Worldwide, Inc from the US and the Club M Ha Long Joint Stock Company inked two agreements on October 1 to cooperate in managing and developing the Sheraton hotel. In 2012, Quang Ninh province broke the record for the time it took to grant an investment certificate for a 300 million USD fibre plant project invested by China’s Texhong Yinlong Science and Technology Co., Ltd in the Hai Yen Industrial Park. The project’s investor received investment permission only 24 hours after submitting its document. In April 2014, the local authorities also granted an investment certificate to the Hai Ha International Investment Co., Ltd and the Texhong Hai Ha Industrial Park Co., Ltd under China’s textile group Texhong to develop i nfrastructure for the first phase of the Hai Ha Industry Park (IP) in Hai Ha district within only 15 working days, 23 days less than regulations. The project has a total investment of 4.5 trillion VND (201 million USD). Apart from the projects mentioned above, Quang Ninh also created favourable conditions for investors to develop big projects important to the locality’s development such as the Dai Duong Park owned by Sun Group Corporation and Vincom Trade Centre and Vinpearl Hotel invested by the Vingroup Joint Stock Company . Quang Ninh is currently calling for investment in its Mong Cai border gate economic zone (EZ) which has 40 projects in transport infrastructure, culture, trade-service, health-education, electricity, industry, agriculture and the environment.